These Oak Cheese Boards are made from a 2.5cm thick chunk of seasoned English Oak. 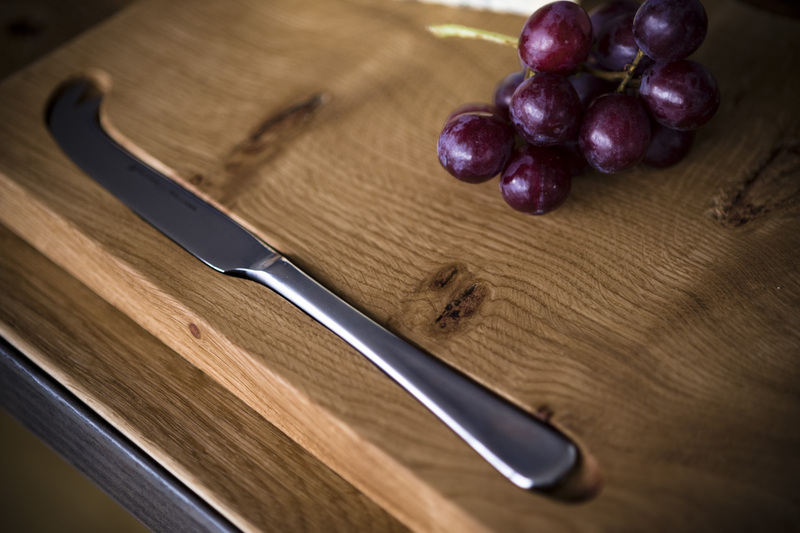 Complete with a Maxwell & Williams Cheese knife recessed into the wood and recesses underneath either end for ease of handling. 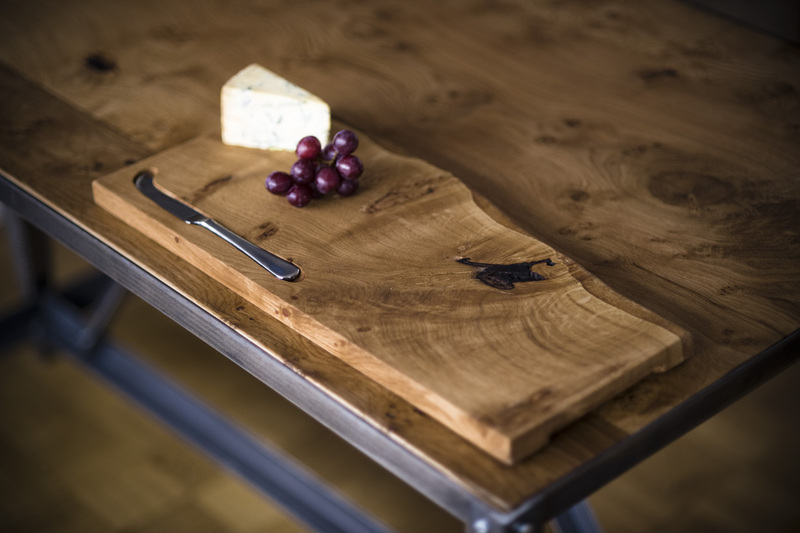 A typical cheese board will be rectangular, full of interesting character and have the sap wood one side which provides visual interest. I have found a size of approximately 45cm x 20cm to be popular with clients. 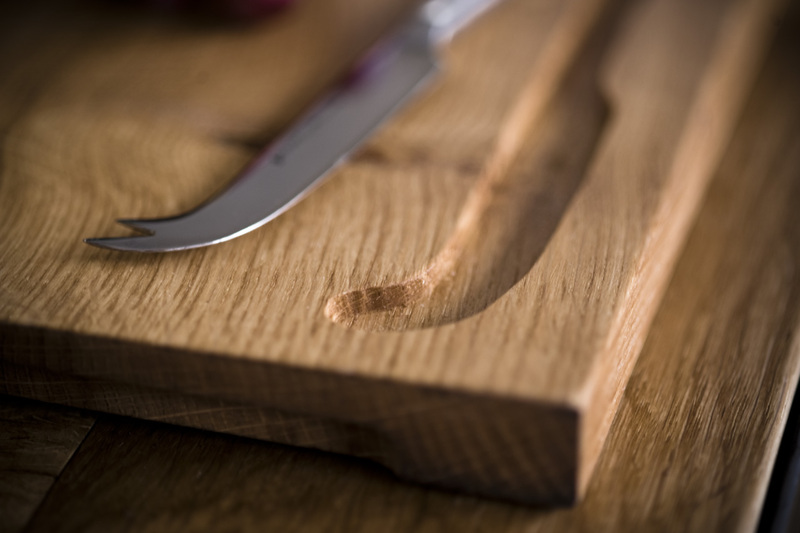 I receive frequent requests for longer sizes allowing a greater selection of cheeses and other food items such as cured meats and fruits to be placed on the board. 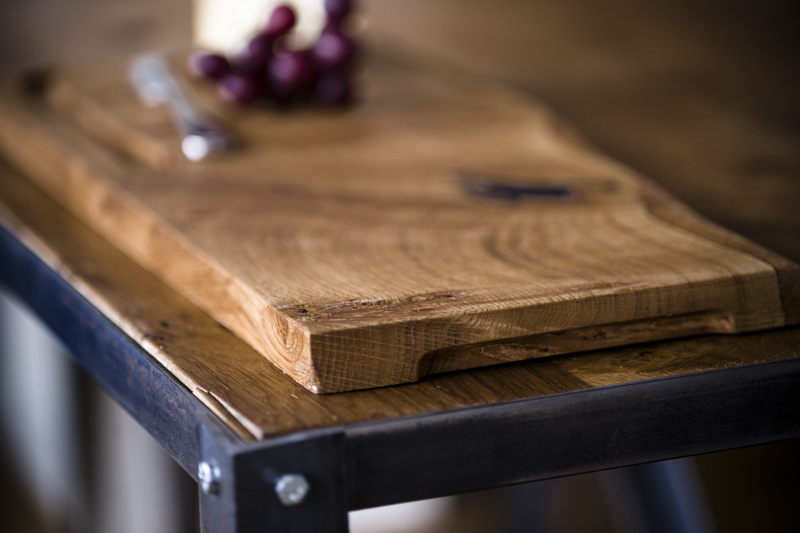 The board pictured is for illustrative purposes and boards purchased will vary slightly in colour, shape and grain. Made to your exact requirements, please get in touch via the ‘commissions‘ page for more information.